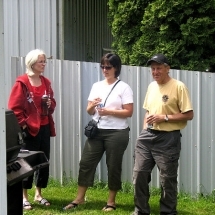 The 2008 VP & FPA Lawn Show was held Sunday, June 22, 2008 and we were fortunate again to have the grounds of Ernie Silveri's residence and a warm sunny day for the event. 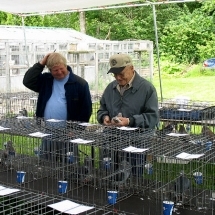 Club members, their families and guests enjoyed a BBQ, refreshments, raffle prizes and a pigeon show under canvas featuring 68 birds from 6 exhibitors. 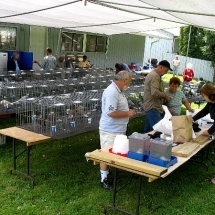 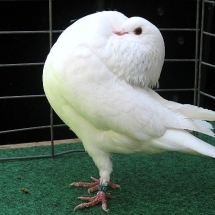 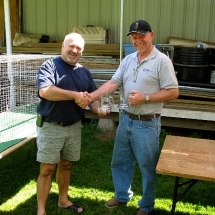 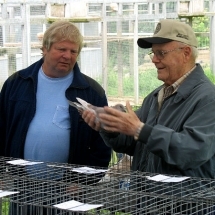 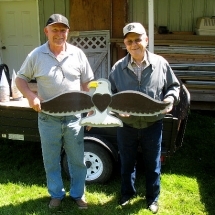 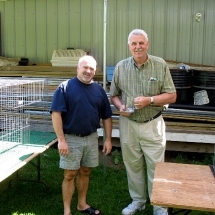 Bob Sutherland did the judging honours selecting a Holle Cropper and Norwich Cropper, both exhibited by Double V Lofts, as best old and young fancy pigeon respectively. 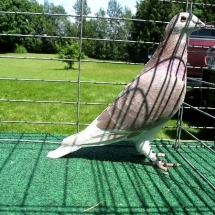 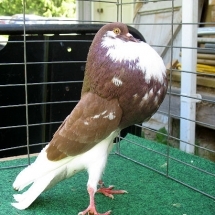 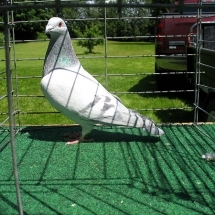 Ken Chatwin won best old and young flying pigeon, both with Show Type Homers. 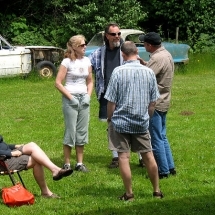 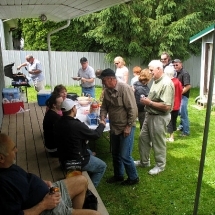 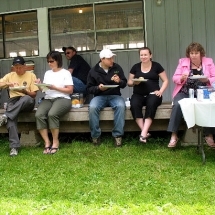 As usual the Lawn Show provided a good opportunity to catch up with some of the club members from Vancouver Island and Washington State that we don't get to see on a regular basis.